A VA Choice program change that would require VA facilities to meet certain standards to qualify as preferred treatment centers has been negotiated as part of bipartisan Senate legislation after months of work by the Trump administration, a key senator and even the Koch brothers. Myriad other issues remain on the table to be worked through, but this tweak is a compromise that veers from what Veterans Affairs Secretary Dr. David Shulkin publicly endorsed last month. It also has awakened concerns that the measure could accelerate privatization of the VA's healthcare system, particularly in light of the involvement of the political action committee of Concerned Veterans for America, a not-for-profit funded by conservative mega-donors Charles and David Koch. The proposed reforms would significantly expand the private sector's role in VA healthcare. The patient and provider would now be able to decide whether to opt for community care, technically opening up VA Choice eligibility to all veterans. Currently, fewer than 1 million veterans receive care through the Choice program, which offers eligibility to any veteran facing wait times of 30 days or more or 40-mile travel time to a VA clinic. In the soon-to-be-inked deal, the Senate Veterans' Affairs Committee proposes making VA facilities responsible for meeting access standards set by the VA secretary. If a facility can't, the patient can seek out a community provider if both patient and a VA provider or an authorized provider in the community working closely with VA deem that a better option than a VA facility. It's a significant technical change to bipartisan legislation passed out of the Senate VA Committee in December, which originally gave the VA secretary discretion to relax restrictions to community care, but did not require through statute that a VA facility meet the secretary's so-called designated access standards. The change came at the urging of the White House, according to documents obtained by Modern Healthcare. 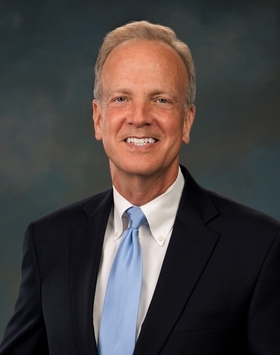 It also had support from Concerned Veterans for America and Sen. Jerry Moran (R-Kan.). A Senate aide confirmed that the provision would be incorporated into the final legislation. Senate committee leaders hope to bring the legislation to Senate floor very soon for a vote of unanimous consent. The Senate's final bill comes after months of behind-the-scenes conflict over the access standards issue. The Senate and House committees of jurisdiction voted to advance VA Choice reforms in early December, but even then lawmakers and the administration clashed over the technicalities of granting more access to the VA Choice program while not hurting or under-using VA facilities. Moran not only dissented against the committee legislation, he also introduced his own version—with a provision similar to the one offered by the White House. Concerned Veterans for America, which had been campaigning to expand VA Choice for months, threw its weight behind the Moran bill. "This bill is an important step toward stabilizing the current VA medical system and ensuring quality and timely care for our veterans," the group's executive director, Dan Caldwell, said in a statement. "This legislation would also provide more healthcare options for veterans who use the VA and ensure that veterans aren't trapped in failing VA hospitals. We strongly support this legislation and urge all senators to do the same." The VA Choice reforms stalled in January, and President Donald Trump called out the program in his State of the Union address. The White House jump-started legislative talks again with its own list of proposals, which included the Moran provision to hold VA facilities accountable for meeting the access standards—a move also applauded by the active Concerned Veterans for America. But tensions continued to simmer, and came to a head in a hearing last month when Moran sharply rebuked VA Secretary Shulkin, who also served under President Barack Obama, for what he called a two-faced approach to Moran's demand for a specific clause in the legislation to guarantee veterans' option to leave the VA facility if access standards weren't met. "Our inability to reach agreement is due to your double talk," Moran said. Shulkin called the characterization "grossly unfair" and said his stance alongside the Senate committee's original bill came from trying to do right by veterans as well as the VA while also making sure the patients can make their choice of provider "based on their clinical needs." "I don't believe we are at a far away position here," Shulkin said, framing the debate as one of implementation. Moran pushed back, saying that if holding facilities accountable remained a matter of the department's regulation instead of law, "nothing will change." Ultimately, the revised provision for eligibility, which Shulkin consulted on, is a win for Moran. It follows last week's reports from the New York Times and Washington Post that detailed the inner-department turmoil at the VA. The politicking has pushed Shulkin into an increasingly difficult position, according to the reports. The news stories, which also trace Concerned Veterans For America's involvement in the VA Choice debate, have raised hackles even among lawmakers who have worked on and supported the reform efforts in Congress. The reports "confirm what many of us in the veterans community have long speculated: that the Koch brothers and corporate interests are at the center of an effort to take over and privatize VA to make money," the House Veterans Affairs Committee's ranking Democrat, Tim Walz of Minnesota, said in a statement last week. Walz is also a veteran. "This behavior is disturbing, represents the worst of Washington politics, and must be brought to a swift and decisive end." Concerned Veterans for America did not respond to a request for comment about its lobbying efforts. While the leaders of the Senate VA Committee, Sens. Johnny Isakson (R-Ga.) and Jon Tester (D-Mont.) want to bring the finished bill to the floor as soon as possible, House policymakers still haven't worked out how to pay for their parallel version, according to an aide. House VA Committee Chair Dr. Phil Roe (R-Tenn.) told Modern Healthcare last week he hopes to conference the chambers' two bills and then they will look for a vehicle for final passage. The next vehicle is the spending omnibus bill expected in March. Dave McIntyre, CEO of TriWest — a third-party contractor with the Defense Department and now with VA Choice—acknowledged that the sticking points over the issue of access are difficult because no one wants the VA facilities to lapse or the government's investments to go to waste. TriWest's business is booming with VA Choice. The company just processed its 10 millionth VA Choice claim and sees thousands of new veterans coming in each day. The western region covers 28 states and TriWest has 200,000 providers under contract within those states. The network and size would continue growing under the new reforms. "This is about resetting the VA for this generation and the next," McIntyre said. "This is the hardest thing we have ever been involved in." An earlier version of the story referred to TriWest as a division of TriCare, which is not the case. The story has also been updated to clarify VA Secretary David Shulkin's involvement in crafting the White House asks.